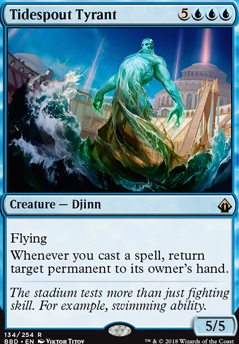 Whenever you cast a spell, return target permanent to its owner's hand. Looks fun. 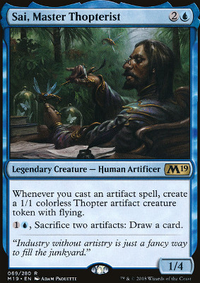 Could use Mystical Teachings for instant speed tutor and consistency. 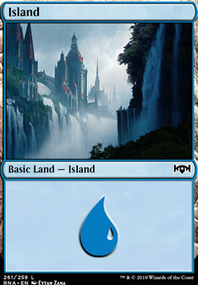 Tolarian Winds and Commit / Memory are good ways to cycle hand. Sphinx-Bone Wand and Tidespout Tyrant are good value pieces. 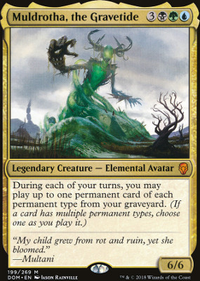 Energy Tap is a great way to utilize the high cmc creatures in the deck. 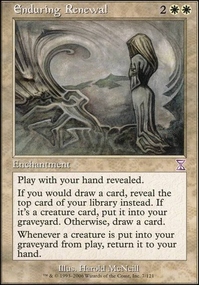 This play style might draw hate so a few stax and control cards could help slow the game to your pace, Dream Tides , Energy Flux , War Tax , Ertai's Meddling , and maybe even Mist of Stagnation if you get enough spells in the yard. 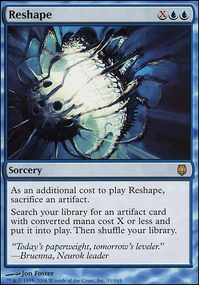 Hi einz_goobit, I think, you need redundancy like Cloudstone Curio for recast your morph and win via Purphoros, God of the Forge . 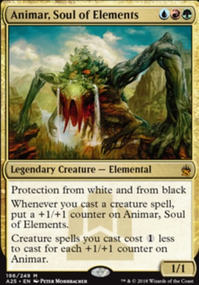 Morph a creature in animar is more costly than cast it so Seedborn Muse and Prophet of Kruphix (I dont know what banlist you use) are a must. I'd put Draining Whelk , a counter with only 2mana from hand would be very usefull, with Cloudstone Curio , Equilibrium , Temur Sabertooth and Tidespout Tyrant it can be an everyturn counter. Lastly, you have 60 creatures....60!! I simply say Opposition . I hope those tips were usefull.